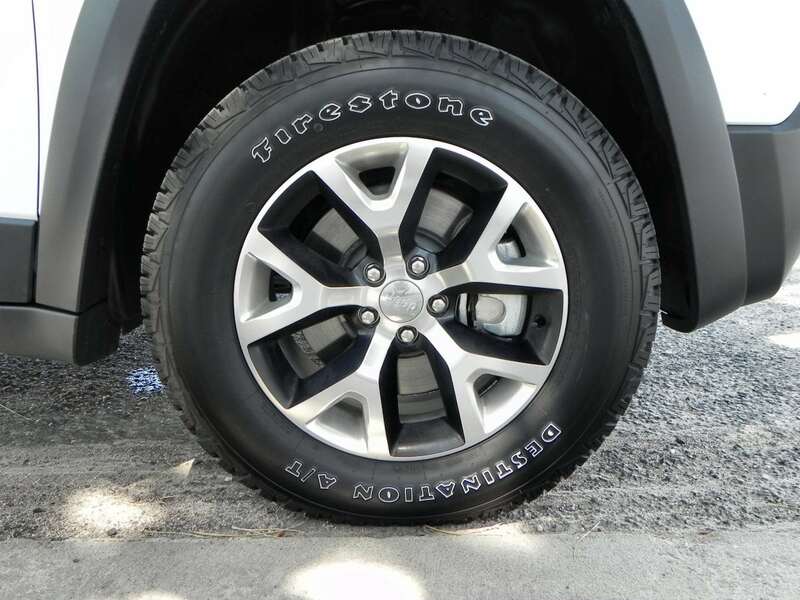 The Jeep nameplate is synonymous with offroad capability. 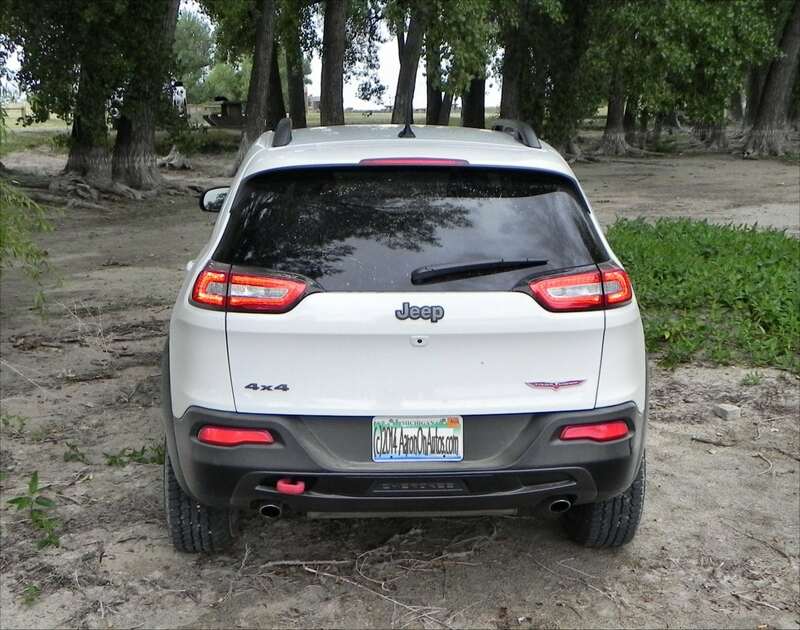 In fact, the idea of going off the road and into the wild unknown is often called “going down the Jeep trail.” Sometimes, living up to this kind of expectation is not easy when you’re a mere crossover rather than a full-blown sport utility. 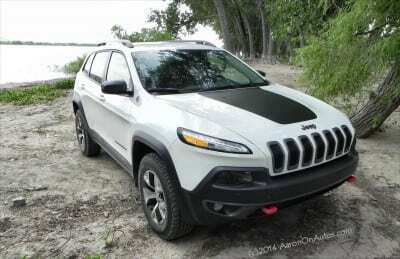 If your name is Cherokee Trailhawk, though, you can do it. Easily. The 2014 Jeep Cherokee is a brand new model for the Jeep line. Although the Cherokee name has been around for a while, it was discontinued for a few years, but has now re-appeared to fit underneath the larger and more premium-attired Grand Cherokee. 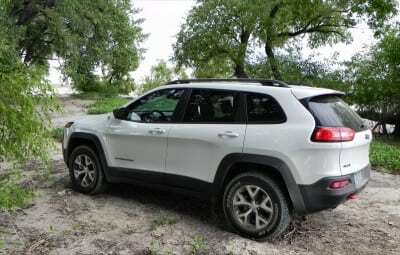 Whereas previous Jeep Cherokee models were offroad awesomeness with just enough interior comfort to keep people from abandoning them to save their backs in everyday use, this new one is a nice balance of both everyday interior comfort and expected Jeep capability. In the Trailhawk edition, as we drove it, emphasis is put on the abilities the Cherokee has when there are no roads, but it doesn’t lose most of its on-road comfort and the everyday ergonomics that keep it family-friendly and useful as an all-around machine. 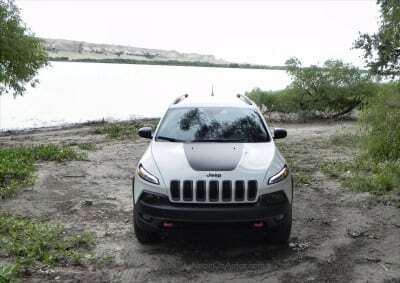 Upon first seeing photos of this new Jeep Cherokee, I was unimpressed, to put it mildly. 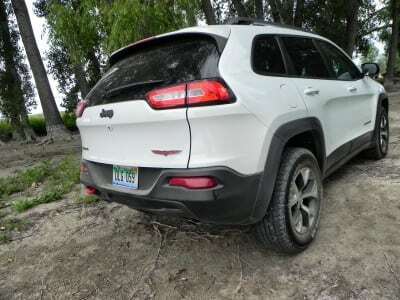 My exact words were something like “.. the new 2014 Jeep Cherokee looks, frankly, like a Kia smashed into a Fiat and stumbled away with parts from both.” Harsh, I know. That description, for me, still describes most of the standard-issue 2014 Cherokee trim levels with a couple of exceptions. One of those is the blacked-out beauty I saw as a 2015 model recently and another is this Cherokee Trialhawk edition. 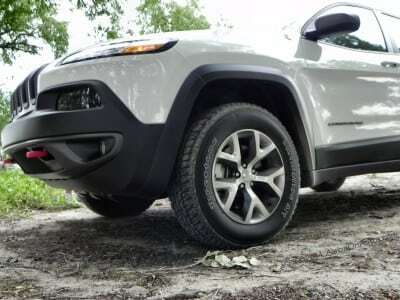 The Trailhawk adds a lot of the muscle and presence that the other Cherokee trim levels often lack. The higher approach angle of the lower front fascia, the addition of the proudly-red towing pins, the more swept-back appearance of the hood and peering lighting come together well while the optional hood decal and the more aggressive-appearing wheel wells and larger tires just give the Cherokee Trialhawk a manlier appeal. All without losing its style, which includes some great finesse along the roofline and curving belt. Inside, though, is where Jeep really hit the mark well. 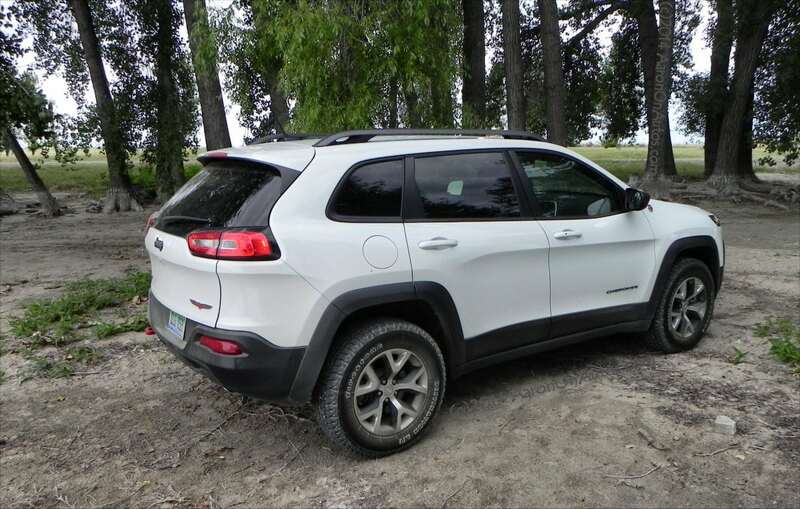 The 2014 Jeep Cherokee in all its trim levels has several things that make for a versatile, useful everyday SUV. 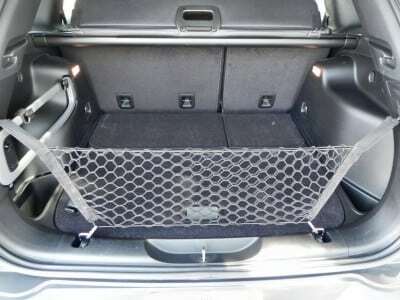 Seating is very good in all four positions (the center of the back seat is usable, but not necessarily comfortable). Head, shoulder, leg, and knee room are all excellent. What’s better, though, are the configuration options that come built-in with the Cherokee. Every seat in the 2014 Jeep Cherokee folds flat with the exception of the driver’s seat. 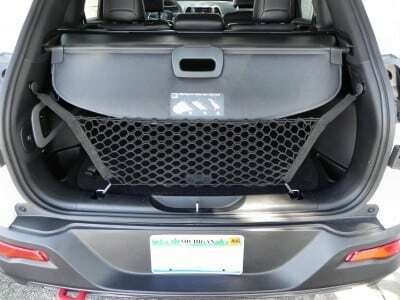 This creates a huge amount of potential cargo space within this crossover. Chances are, if you have something that will enter through the rear hatch of the 2014 Cherokee, it will ultimately fit inside if you get smart with the seat folding. 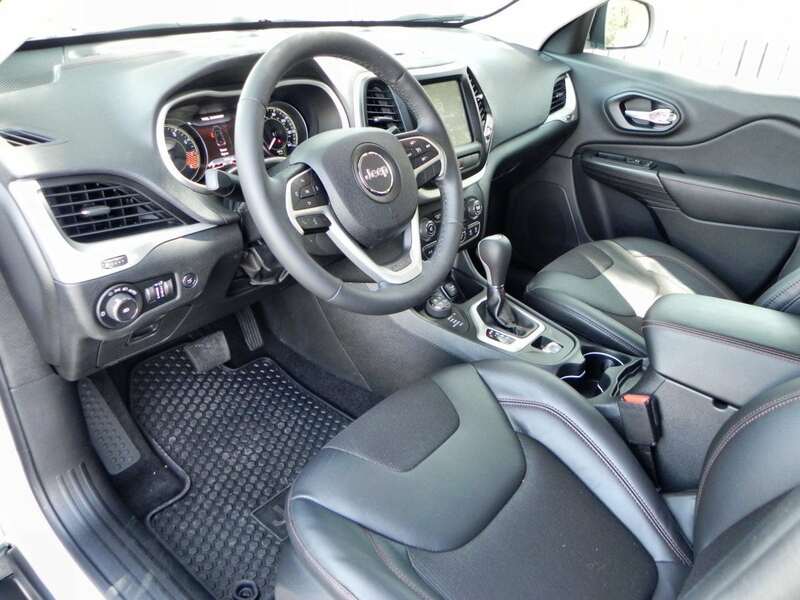 In our upfit package with the Trailhawk trim and added technology and comfort options, though, the 2014 Jeep Cherokee Trailhawk really shines inside. 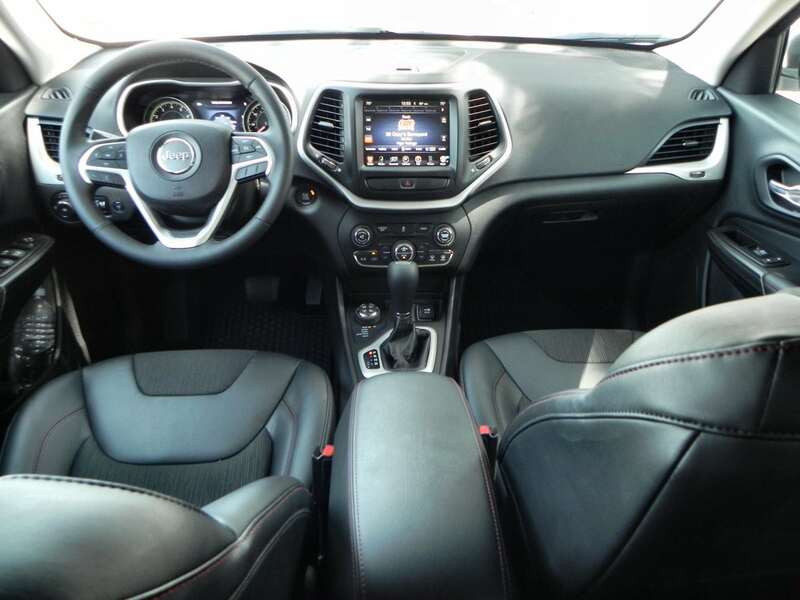 Chrysler’s Uconnect system is likely the best in the business for its user interface for infotainment and the smart positioning of controls for climate, stereo, and more all add up nicely. Two engine options can be had for the 2014 Cherokee. 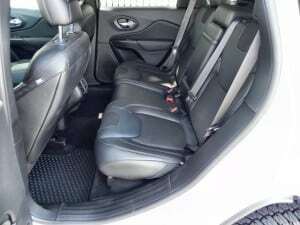 There is a 2.4-liter MultiAir2 Tigershark inline-four-cylinder option aimed at high fuel economy (about 31 on the highway in 2WD); and there is a 3.2-liter V6 as we drove it. 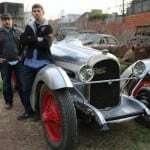 Our average MPG was 20.6 for the week with that engine, which isn’t bad considering about 20 percent of our mileage didn’t have pavement. A nine-speed automatic transmission powers the wheels on the Cherokee V6. This transmission is extremely smooth and well-mannered and delivers a good amount of torque and shift control when you want it. Of course, the Trailhawk package adds some commendable offroad additions beyond just bigger tires and an extra badge. 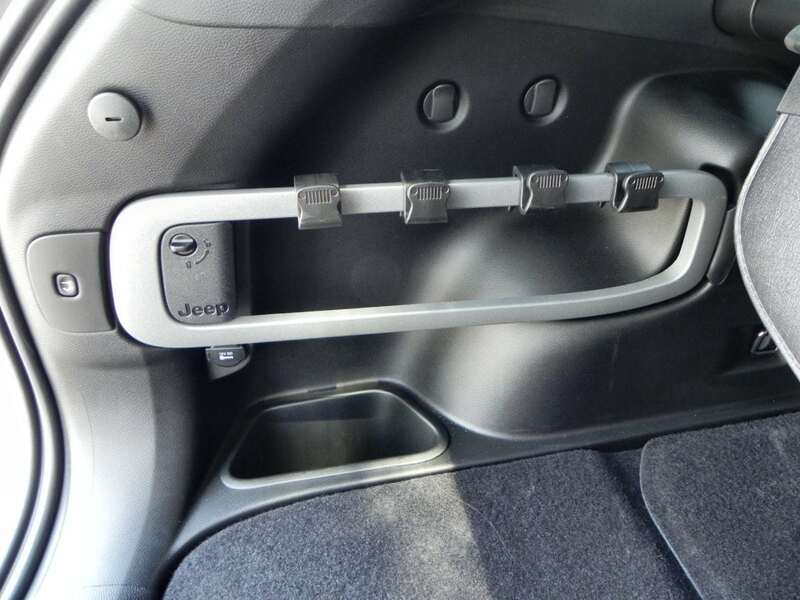 Jeep Active Drive Lock is standard on this package, giving low-range and locking capabilities to the rear differential that weren’t there before (four-low automatically locks the rear). An automatic creep-crawl setting allows you to utilize a 56:1 or 47.8:1 (i4, V6 respectively) to move along slowly at a given pace. Selec-Speed Control gives hill descent and ascent capabilities at driver-selected speeds (low-range gearing). A few other things like skid plates and tow hooks are added as well. All in all, a great package of trail-ready stuff that doesn’t interfere too much with the on-road capabilities of the Cherokee Trailhawk. 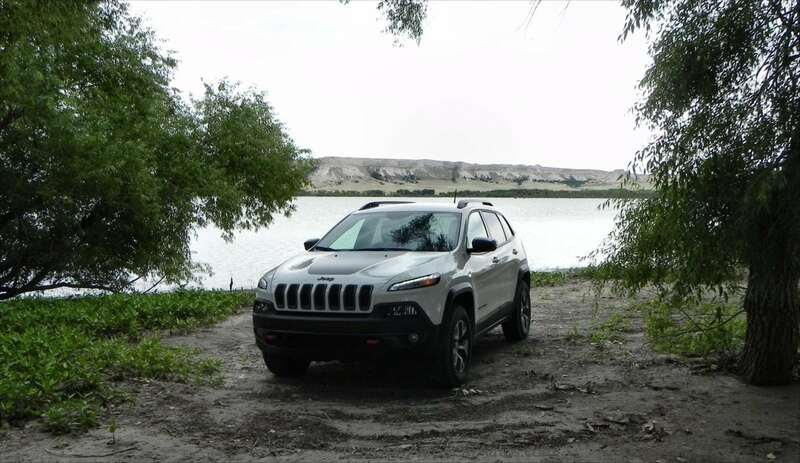 On the road, the 2014 Cherokee Trailhawk is a comfortable drive with most of what’s needed to keep driver and passengers comfortable. Road noise is higher in the Trailhawk versus other Cherokee models thanks to the larger and beefier tires, but not horribly so. 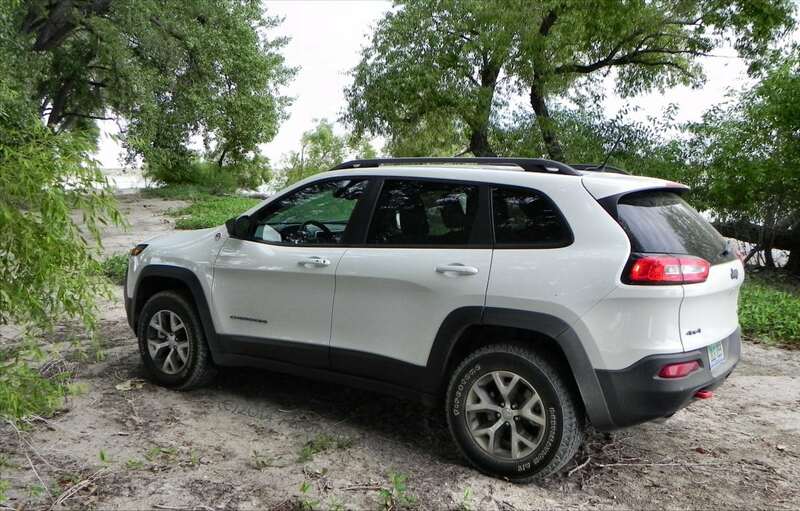 The Cherokee handles well on the highway and its tight turning and high maneuverability shine in the parking lot. 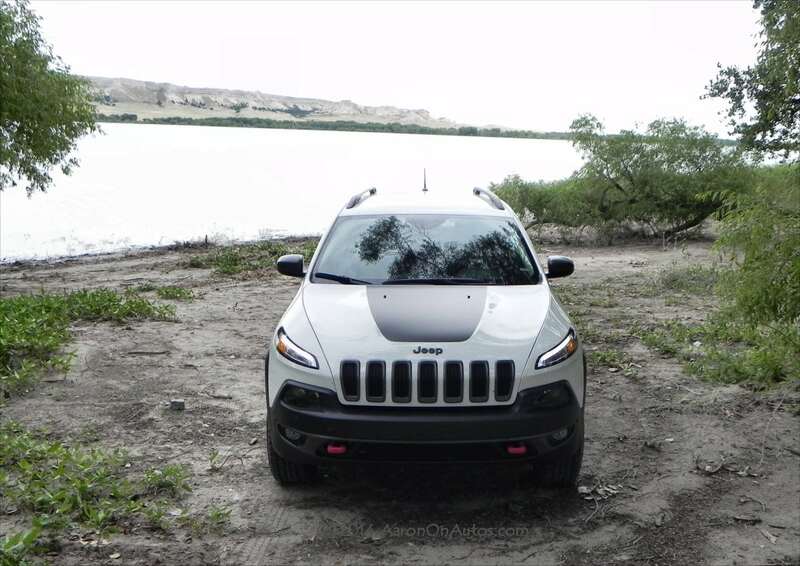 Off the road, though, the Cherokee Trailhawk becomes the Jeep legend. 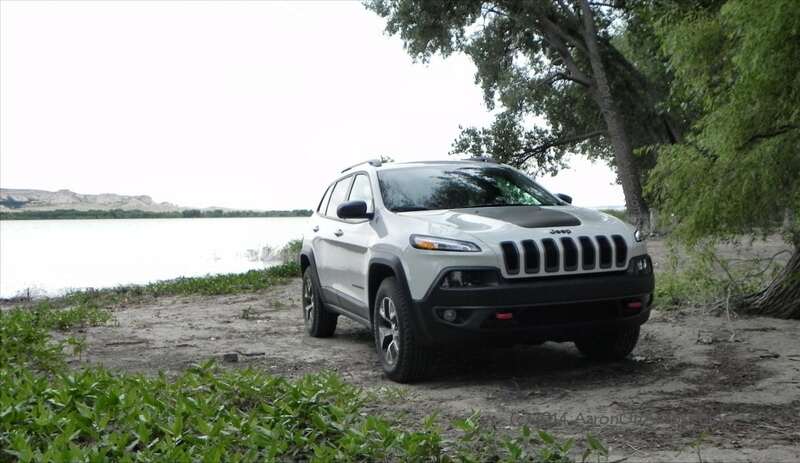 Whether on dirt roads, washboards, ravines, the beach, or nowhere in particular, the 2014 Jeep Cherokee Trailhawk has little trouble getting to whatever point you steer it. Clearance is slightly better than in other Cherokee models and the culmination of decades of Jeep capability come together nicely in the Trailhawk package here. Whatever you’re trying to do with it, the Cherokee can probably make it happen. There are several competitors to the 2014 Jeep Cherokee, but few of them are comparable to the Trailhawk edition. 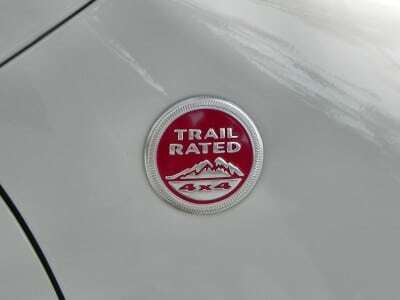 The 2014 Kia Sorento and Mazda CX-5 are good contenders for the Cherokee in its standard format, but not against the offroad prowess of the Trailhawk. The Cherokee Trailhawk’s most direct competitor is likely the Toyota FJ Cruiser, which sees its last iteration this year before discontinuation. Although not quite as offroad capable, the Subaru Forester is also good competition. Great offroad capability without heavy compromise in everyday on-road use. 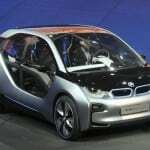 Smart, very versatile interior with accommodations that might rival most people-hauling machines. A bit expensive for the Trailhawk option, but those who want it will find it worth the price. 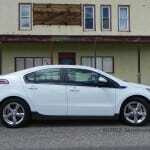 The exterior design may be polarizing with some not liking the look. The overall result of our week in the 2014 Jeep Cherokee Trailhawk was that it is a beautiful balance of Jeep offroad capability and modern-day on-road comfort. 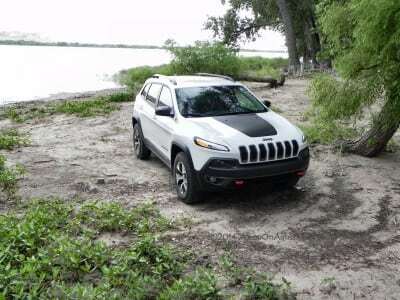 For those looking for a midsize crossover SUV with “do anything” capability, the 2014 Cherokee Trailhawk has few rivals. 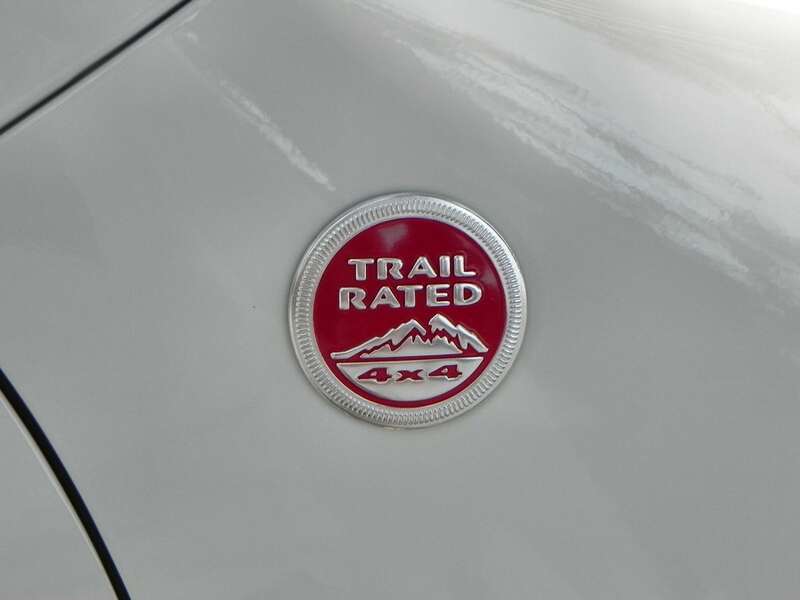 The Cherokee Trailhawk was a manufacturer’s press loan given for about a week. During that time, we put 431 miles on the vehicle in mixed conditions in both on and offroad situations.